Colorful Fox center is open for year-round enrollment. We offer a variety of programs for students such as Art, Chinese, Mathematics, and English reading courses . We hope student can learn much more as a surprise with our professional team-teaching and high-quality teaching courses. We invite you to try our ART class one hour for FREE! 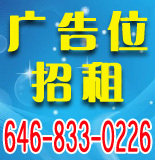 For more details, please contact us via call or vis七色狐it our center.